Jim Reiker, Senior Vice President of Finance and Chief Financial Officer of Americare Senior Living, frequently assesses what challenges the industry is facing. In order to keep the organization profitable, he must ensure the staff is equipped with the tools they need to address those challenges. Although every facility will face similar challenges, each organization will choose to address those challenges with different solutions. Americare chose to work with Encompass Group to implement two solutions that helped them address all three identified industry concerns in creative ways. Census is a long-term, industry-wide challenge and Americare was in need of a creative solution that aligned with their mission to provide residents with a home-like experience. That’s why when Encompass Group approached Americare Senior Living with a new solution, Americare’s leaders were excited to learn more. 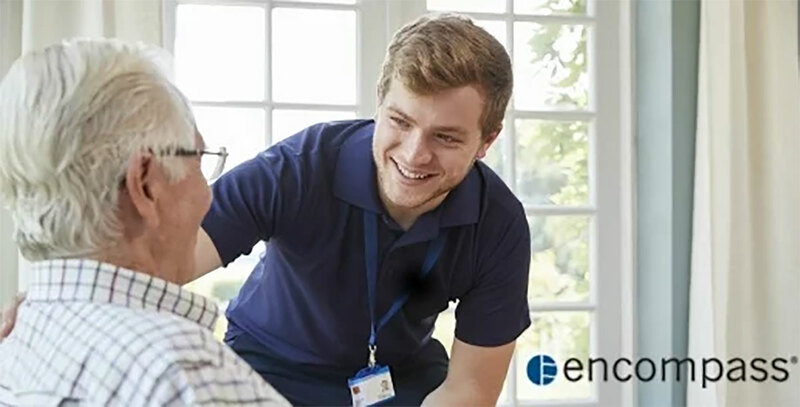 “Our employees loved the product and it definitely simplified the linen management process for our senior care workers.” Jim continues, “but the benefits to the resident is what sold our leadership.” After a two-year pilot, Americare decided to implement the use of the system at all of their facilities. Thanks to Encompass Group's flexible payment options, Americare was able to make it fit in their budgets. “Our residents, caregivers and visitors all loved how much softer and more comfortable the sheets were than other comparable products we’ve used. They really added to the home-like appeal of our resident rooms.” This makes the rooms more marketable to new prospective residents. Five-Star Ratings can also be an indicator of what to expect for reimbursement rates. The Five-Star Rating includes ratings from health inspections, staffing, and quality measures - all areas that would be indicators for the quality of care your facility is providing. The higher the quality of care you provide, the better your resident outcomes are likely to be, which is what truly impacts your reimbursement rates. The No-Fold Linen System helps Americare protect their Five-Star rating by increasing resident safety and comfort. Staffing shortages occur for many reasons, some of which may be unavoidable. Americare has found that the staffing turnover issues spread across many staffing segments and that senior care workers are not just looking for new job opportunities that offer a pay increase. According to Jim, it’s not about the money, it’s about the work environment. An important aspect Jim believes senior living facilities need to consider regarding their staff work environment is uniforms. Hometown hospitality is the Americare brand hallmark and they wanted every resident and employee to feel like they are in a safe and comfortable home-like setting within Americare facilities. Americare’s leadership believes the changes has been well-received by employees. “Although we haven’t heard a ton of comments from our team members, from what we have heard, it appears that employees feel more comfortable when all team members are dressed in similar, comfortable clothing, removing what may have previously felt like a barrier for some.” Jim and the other Americare leaders believe that having a more consistent, casual-feeling look for every senior care worker in the facility is helpful for team building and employee engagement. Americare has also been able to create a more cohesive look by transitioning from traditional health care scrubs to the polo and khaki combination, which complements their brand appeal. Thanks to Encompass Group’s large selection of staff apparel options, Americare was able to find the products that fit their image. “I don’t walk around my house in scrubs, and our staff doesn’t either. Our new uniforms further imbeds our brand image of creating a real home for our residents” Jim remarks. Americare Senior Living and Encompass Group are long-term collaborators. According to Jim, Encompass is a good partner. “We have a long history of working together and Encompass always finds a way to meet our needs, regardless of what we are looking for. We love that they have a variety of products, colors (depending on the product category) and multiple price points for us to work with. Addressing every industry concern at once is no easy feat; however, when you have the right partners, it’s possible. Encompass Group understands the importance of Americare’s mission and is engaged in finding the solutions that work best for them. Is your facility in need of new solutions to address industry concerns? Email me today or call 1-800-328-5525 to talk about how Encompass Group LLC can help! Greg Snoddy is the Vice President of Sales, Senior Living for Encompass Group. He can be reached at greg.snoddy@encompassgroup.net. From coordinated apparel and comforting textiles, to therapeutic support systems and feather beds, we partner with our valued customers to create warm, welcoming and healing environments. On January 29, 2019, the Agency for Healthcare Research and..
Over the last several years, two major economic trends have impacted the healthcare industry - budget impacts of.. The threat of drug-resistant bacteria is real for every long-term care facility. A microfiber environmental cleaning..
Incontinence care is serious and if not managed properly, residents could experience serious complications and your..
Encompass is one of the leading manufacturers and marketers of reusable textiles, professional apparel, therapeutic support surfaces and disposable and single use medical products. By focusing on innovation, product knowledge and customer service, we strive to always meet the needs of our clients and surpass their expectations. We are proud to be a privately held company.